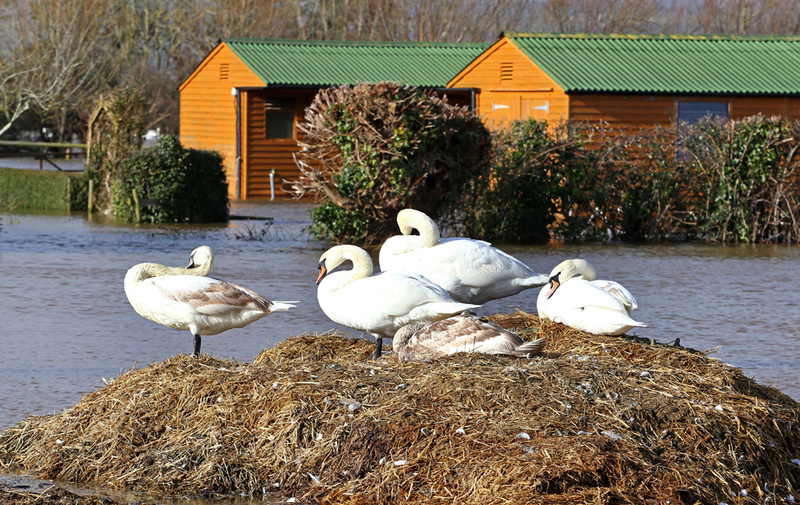 After the unprecedented flooding featured on the national news with regards to the continued flooding on the Somerset Levels, we have recorded some of the scenes that are less than 8 miles from Taunton town centre. 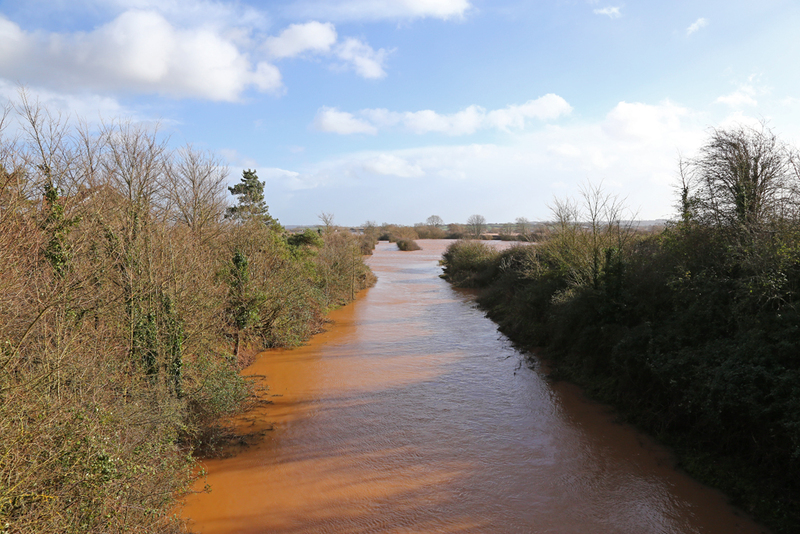 On the 8th February both the Taunton - Bristol and Taunton - Castle Cary lines have been cut off due to rising flood water. 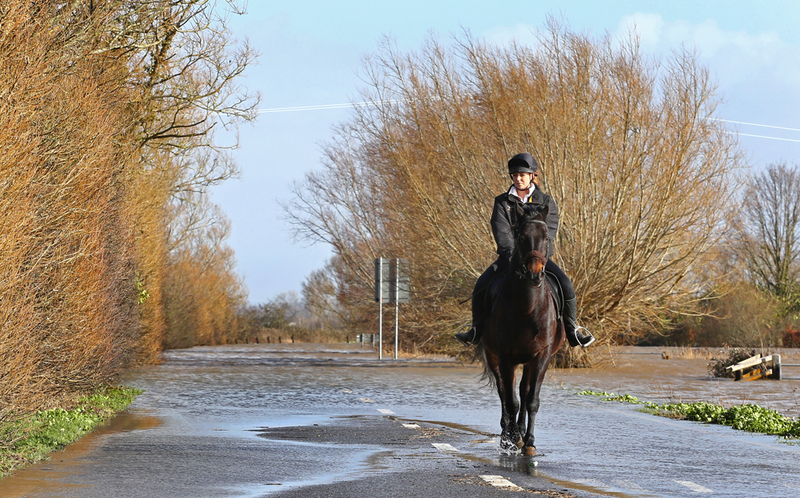 Several villages on the Somerset Levels have also been evacuated and farmers are racing to save their livestock and livelihoods where possible. 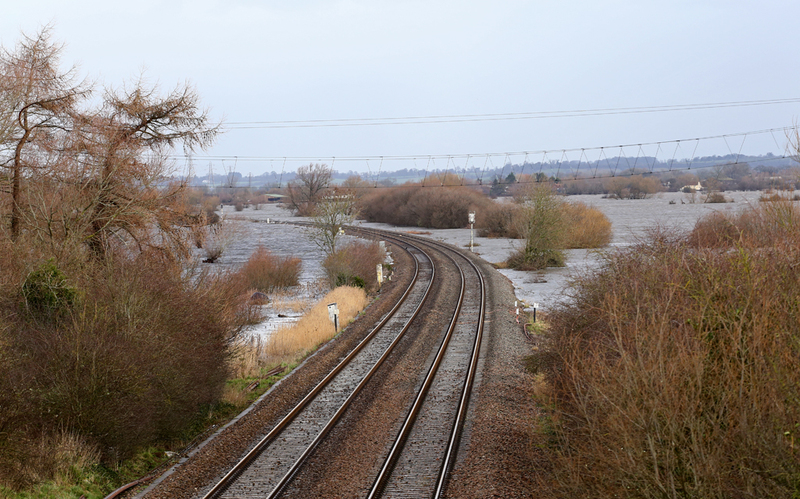 This is the view looking north from Banklands on the 8th February as water had breached the main Taunton - Bristol mainline further ahead. 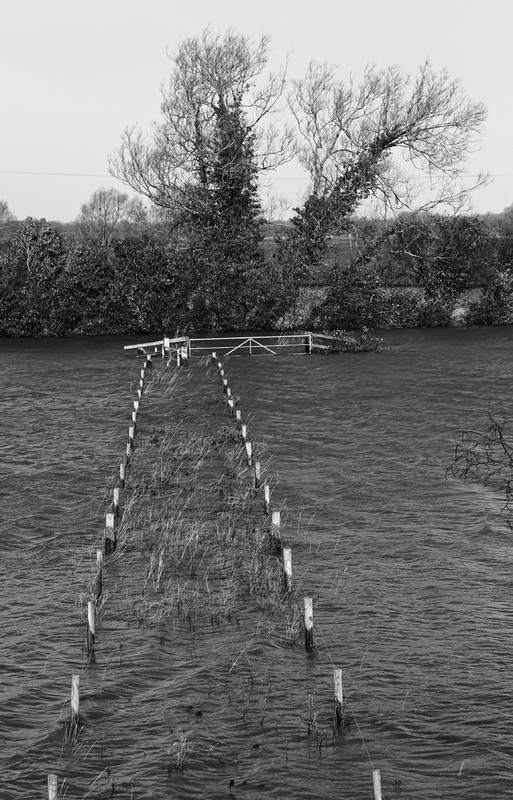 By high tide Network Rail were unable to do anything other than watch as the water took more of the track from sight. 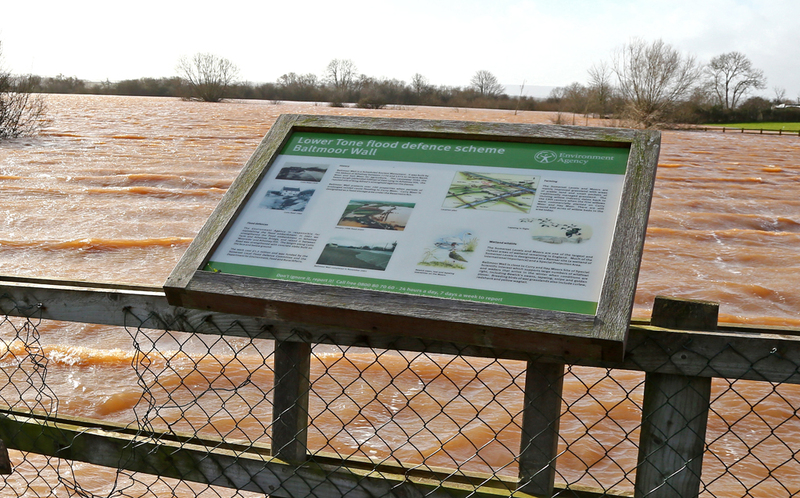 This image records the situation at East Lyng/ North Curry, with localised drainage issues with water run off affecting the Berks and Hants route. 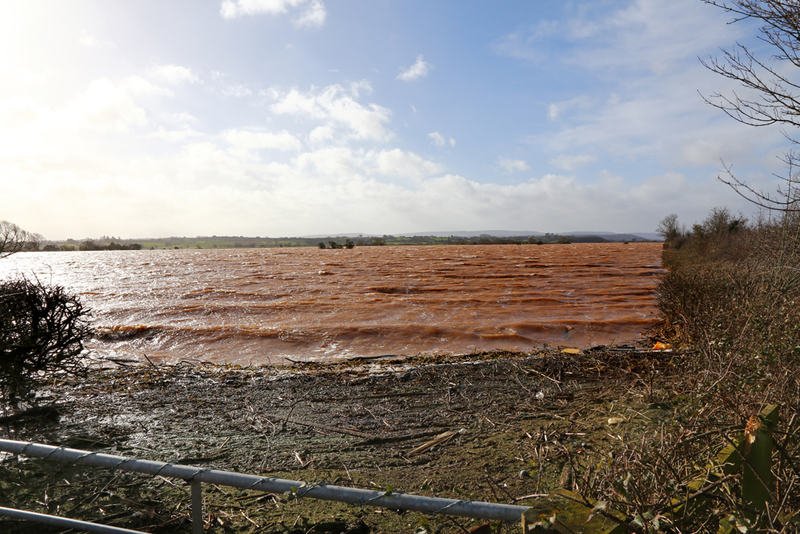 While this may not seem like much flooding on the scale of what's been shown on the TV, the situation to the left of this image over Curry Moor is much different, with water as far as the eye can see. The further north and east you travel the worse the situation gets with regards to water. 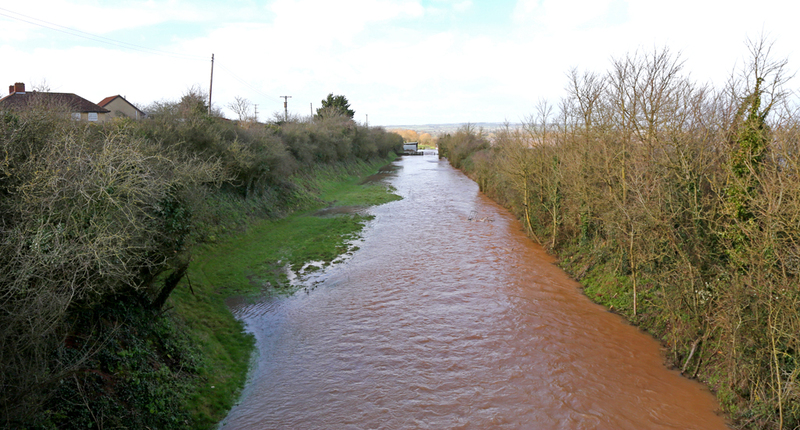 Taken from the same location as the previous image, this shows the volume of water following the route of the River Tone through Curry Moor. 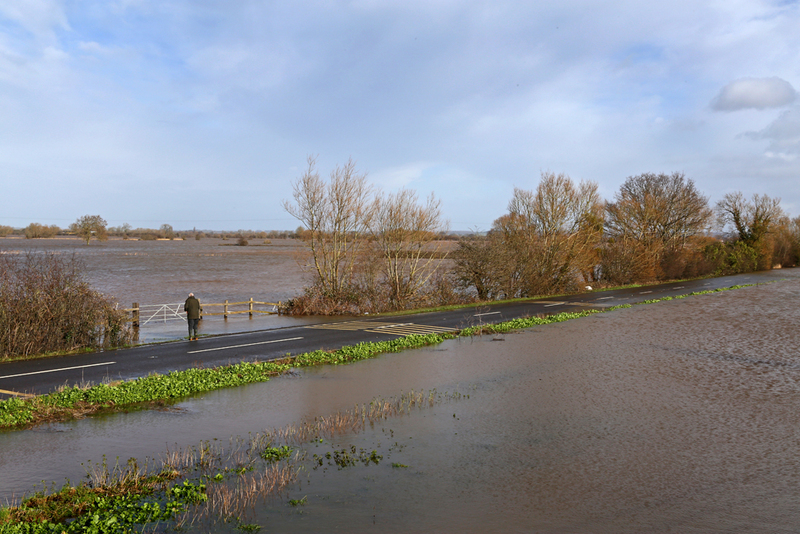 To the left is the main road linking the A361 with North Curry, water is now so deep it's only passable by boat. 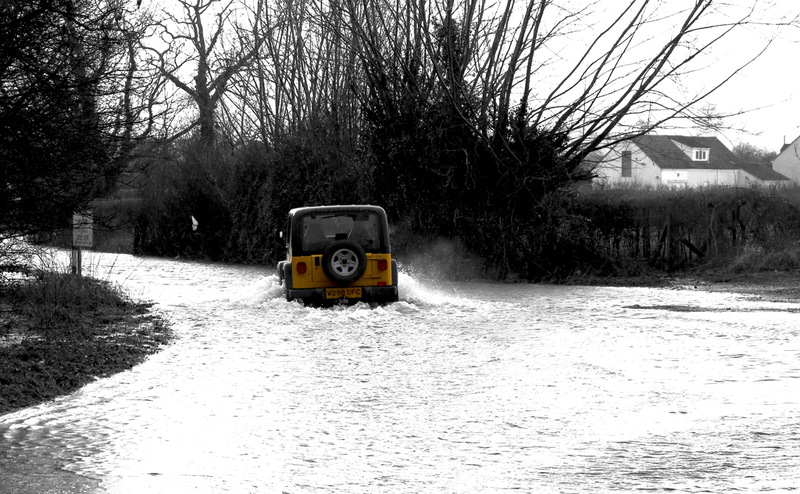 This is the main road linking the A361 with North Curry, water is now so deep it's only passable by boat. 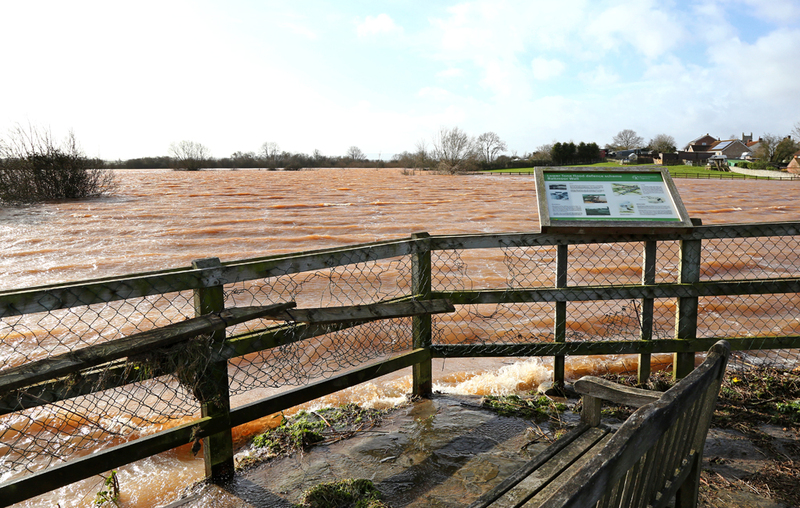 The brown inland sea which has been created by the River Tone is pictured at East Lyng. 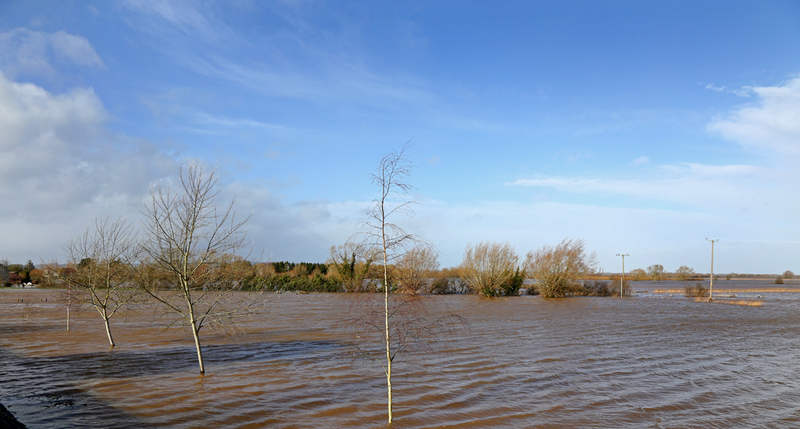 The normally busy A361 linking Taunton with Street and Glastonbury has now been under water for nearly 6 weeks. Its a road which is now deserted and unusually quiet, apart for the lapping of water. 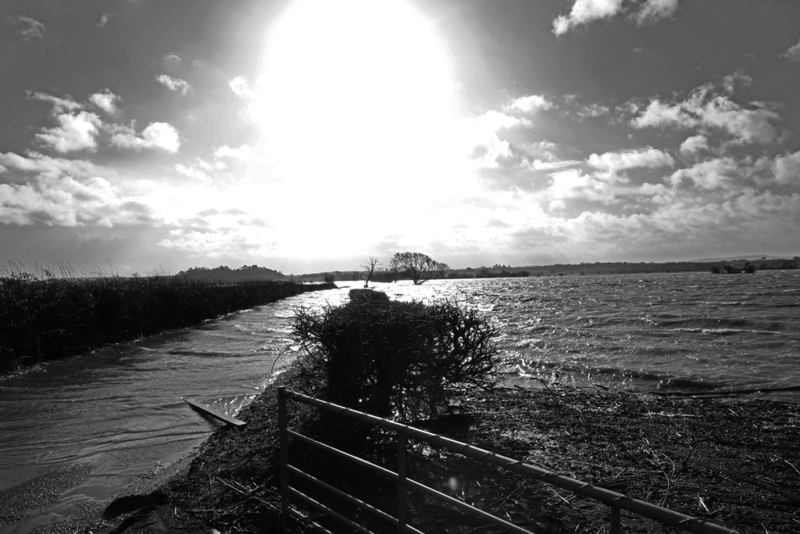 Standing on top of the Lower Tone, Baltmoor Wall Flood Defence at East Lyng is perhaps a tad ironic given the scale of the unfolding disaster. But even this scheme is in danger of being overwhelmed as water levels are even breaching this elevated (approx 15ft high) section of road. 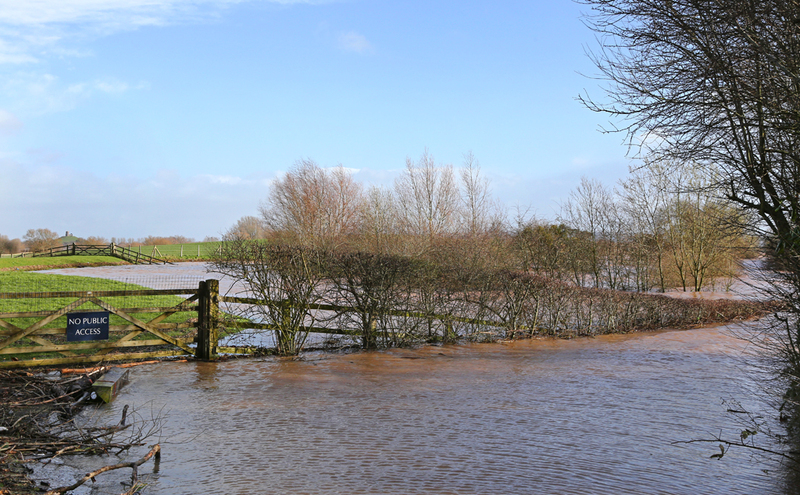 The view from the Baltmoor Flood Defence looking north towards Fordgate and Northmoor, with the A361 not even visible. 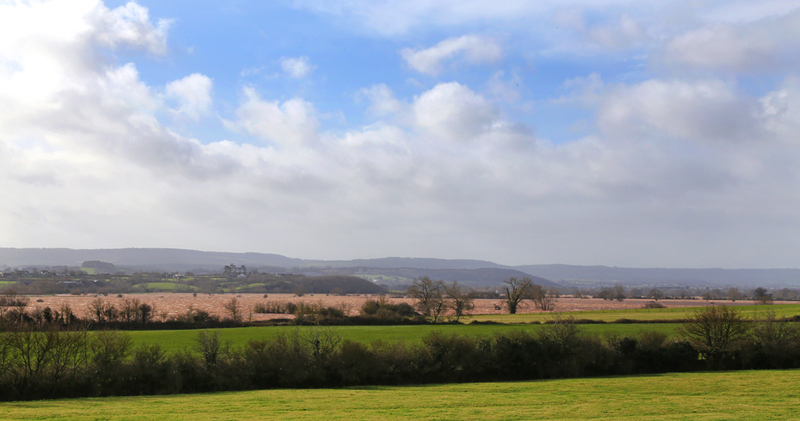 The small structure of 'Burrow Mump' is seen in the background at Burrowbridge, the epicenter of the current relief effort on the Somerset Levels. The journey from East Lyng to Burrowbridge should take all of 3 minutes by car. To do this trip today would result in nearly a one hour diversion! The road turning immediately right in this image leads to North Curry and Athelney. 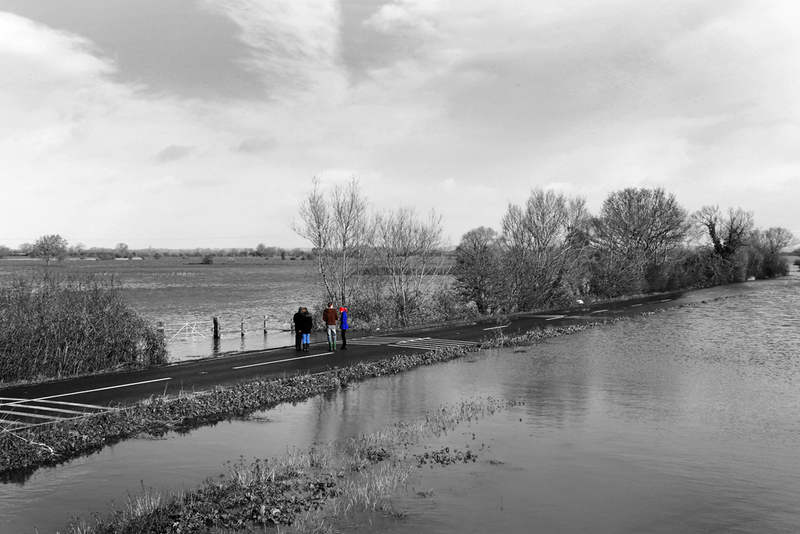 Standing on the A361 two couples look on as the flood waters rise around them. With no busy traffic to worry about, the A361 becomes perhaps the only place in the area to exercise a horse without getting int difficulty. Even water birds require somewhere to rest, in the vast expanse of water around them a family of swans now call this small island 'home'. 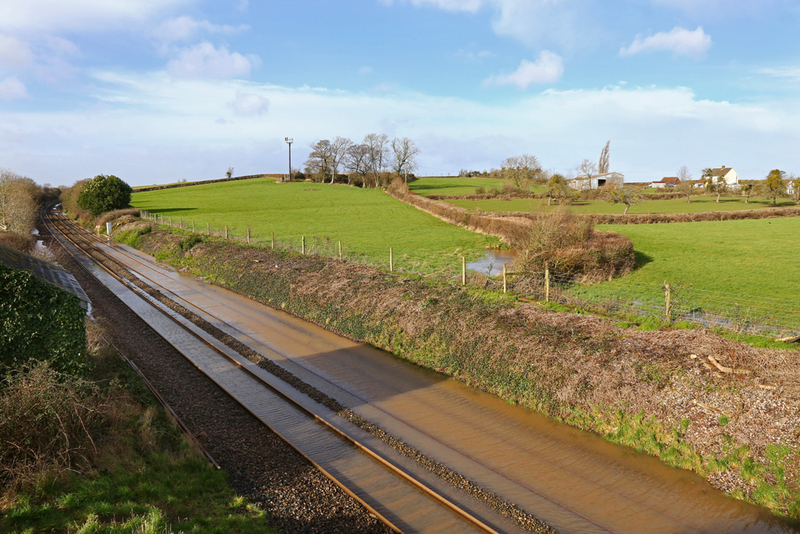 The further illustrate we also recorded this image at East Lyng, of a former railway track bed, this line used to divert at Athelney and connect to the main Bristol - Taunton mainline at Durston. 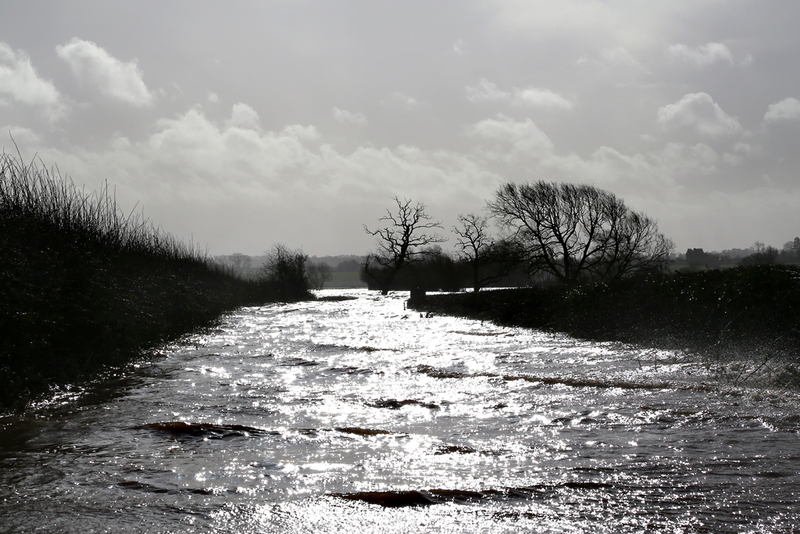 This image is taken looking in the direction of Athelney and further illustrates the sheer volume of water pushing through the former railway cutting. 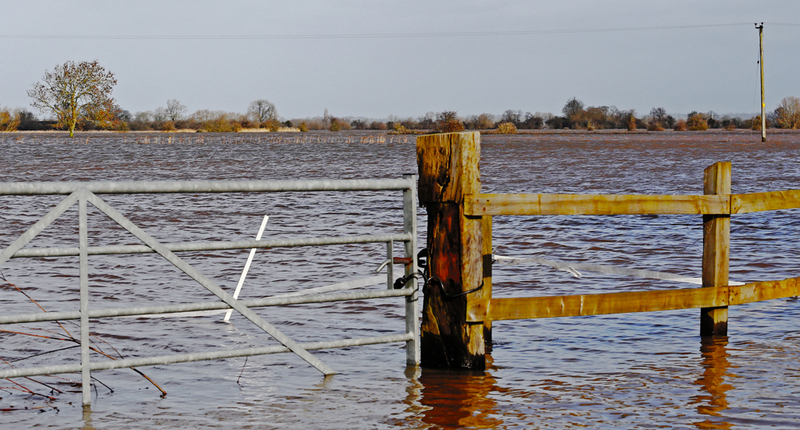 Farmers livlihoods lie in ruin, with Winter feed under water, barns flooded and equipment destroyed. 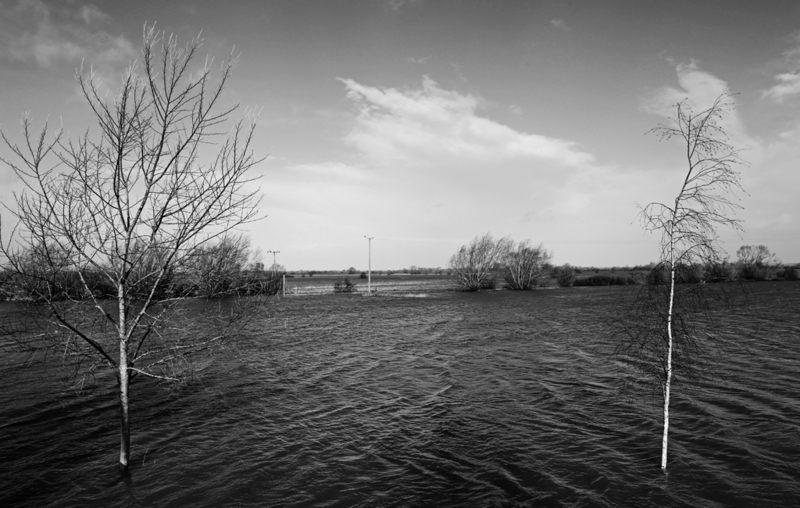 This image was taken at Cogload Junction (Charlton) near Creech Heathfield, the shallow outline of the River Tone can just about be made out as it winds it's way through the area, beyond are the flooded fields which now stretch for nearly 10 miles. 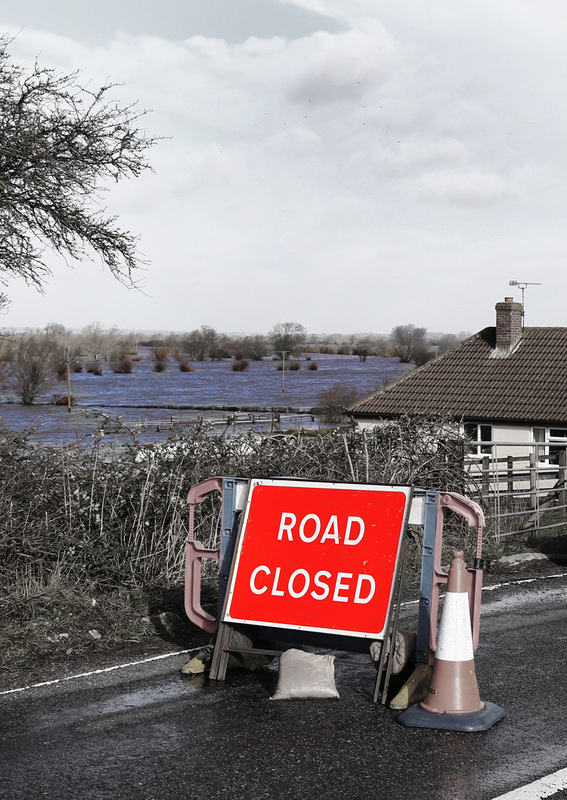 Another section of road which is badly affected is the link on the River Tone is between the villages of Creech St Michael and Ruishton. At the point where the former Taunton - Yeovil railway line once passed, only 4X4's dared try to negotiate this section of road.